Romania’s demographic decline accelerates as the number of births hits decades-low levels and the migration of its inhabitants to richer countries shows no signs of slowing down. In 2018, Romania’s population fell by 74,561 inhabitants, the equivalent of large city like Bistrita, due to demographic factors, as the number of deaths continues to exceed the number of births, National Institute of Statistics (INS) data show. 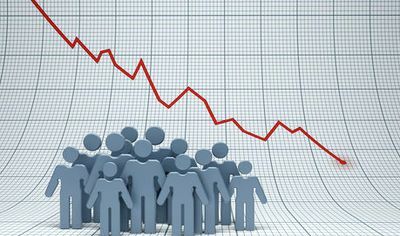 Compared with 2017, the natural decrease of population accelerated by 33 percent in 2018. Romania registered 188,755 births and 263,316 deaths in 2018, compared with 205,835 births and 261,745 deaths in 2017. Last year, the second-poorest EU member state lost 74,561 inhabitants, or 0.38 percent of its total population, due to demographic factors. Romania had 19.52 million inhabitants at the beginning of 2018, a 50-year low, due to negative natural increase and large migration, and this trend will have a large impact on economic growth during the next decade by mitigating potential GDP growth rates, analysts warn. In 2017, Romania’s population declined by 120,700 inhabitants compared to the previous year, due to demographic decline and emigration, according to official data. The migration of Romanians to wealthier Western European countries added other 53,381 inhabitants to the negative population balance in 2017 and the pace of migration is expected to remain high in the medium term. Economists warn this trend is affecting the economic growth, as many of the Romanians fleeing their country are highly educated people. 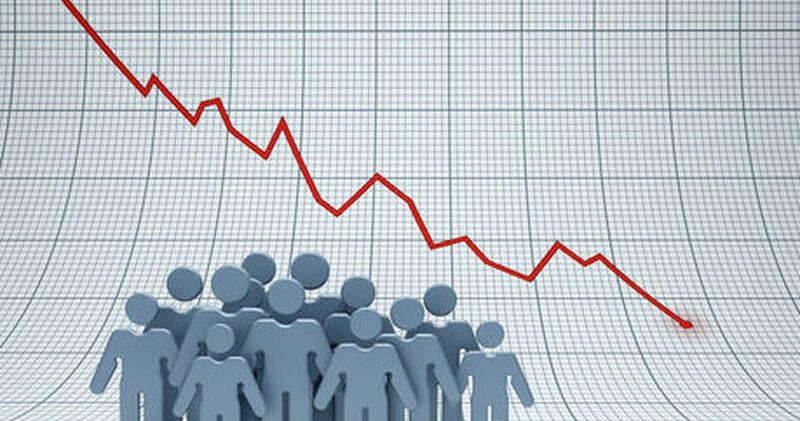 “These developments, together with the aging phenomenon (the share of the population aged over 65 increased from 17.8 percent in 2017 to 18.2 percent in 2018) will adversely affect the potential GDP dynamics over the next decade (downward trend to 3% y/y),” Banca Transilvania analysts said in a recent report. Around 3.5 million Romanians have gone abroad between 2007 and 2015 to escape poverty and widespread corruption in their country, according to a UN International Migration Report. This number places the country on the second place globally by emigration growth rate between 2007 and 2015, after Syria. Without the rampant emigration, Romania would have more than 22 million inhabitants, according to official data. By 2050, the government expects the population to plunge to around 16 million inhabitants. In this scenario, the public pensions scheme will be under large pressure by the severe drop in the number of young people expected to enter the labour market within the next decades, economists say.